Links to the most popular posts. In the first part I explained how to set up the IDE and got the basic blink sketch working. Here I go through building a web page control panel to control the LED remotely. I will start with a basic web page and then slowly refine it so we end with a simple but elegant control panel. 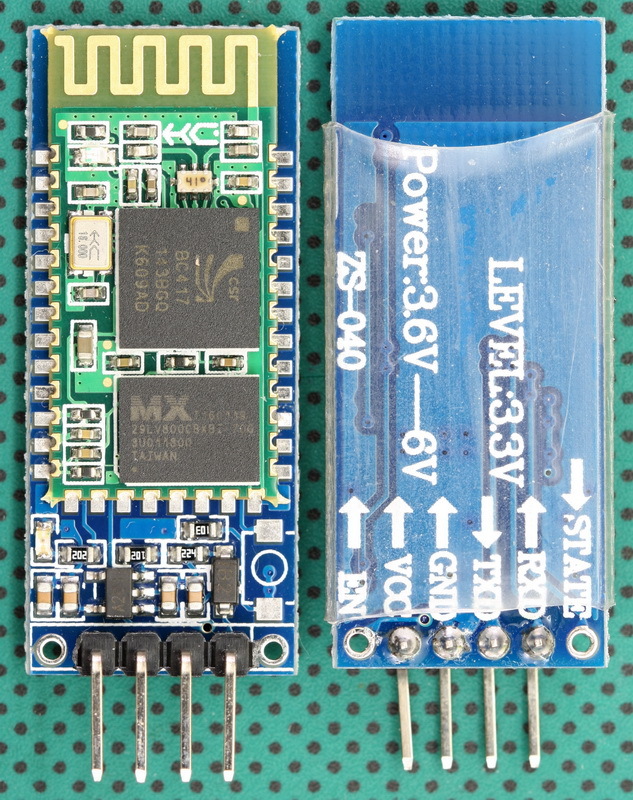 For this example I will be using the ESP8266 as an access point (AP Mode). 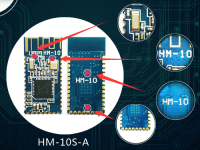 This means the ESP8266 will create its own little network which we can connect to. The ESP8266 will then serve a small web page which we can view on a mobile device or any web enabled device such as a laptop. I still have the LED connected to pin D1 but now I want to turn it on and off from a web page viewed on a mobile device. The web page will need 2 buttons, one for on and one for off. It would be nice if it also showed the current LED status. Something like “LED is on” and “LED is off”. Since this is a first example of a web control the actual web page should be as simply as possible. I won’t go in to detail about creating web pages, if you are new to this there are many other sites to help you. In the previous part we used the ESP8266 in Access Point mode where the ESP8266 generated it’s own mini network. 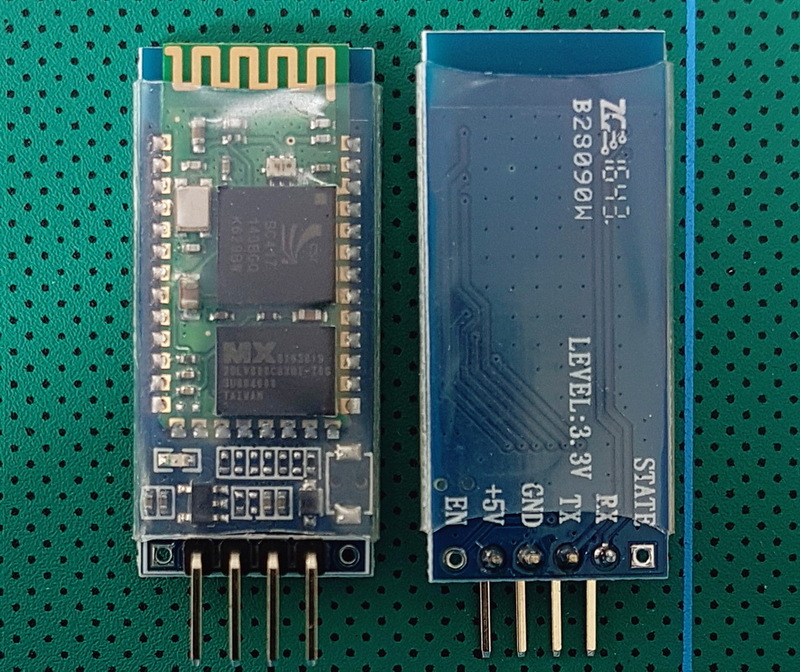 Here we get the ESP8266 to connect to an existing wifi network. 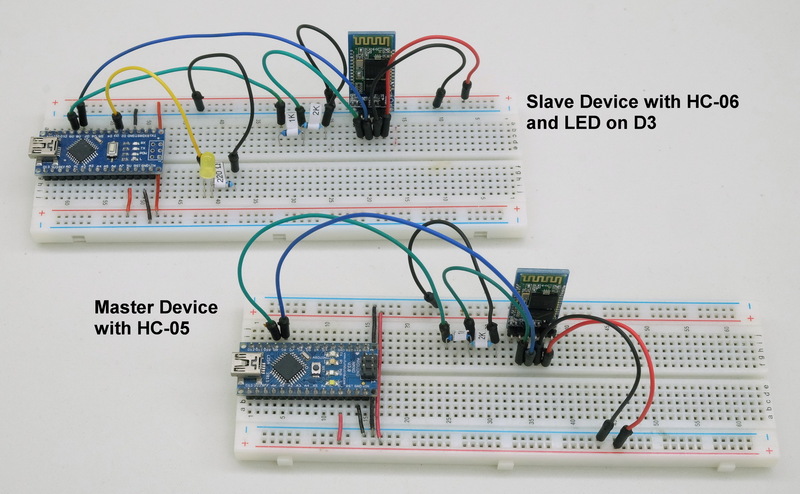 To do this we use the ESP8266 in Station Mode (STA). Switching to Station Mode is done by the library automatically so we do not need to mess around. 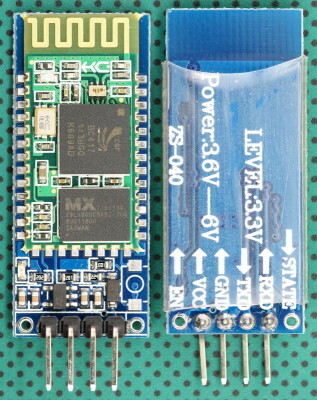 When using the ESP8266 in Station Mode, the connecting device has to be connected to the same network as the ESP8266. 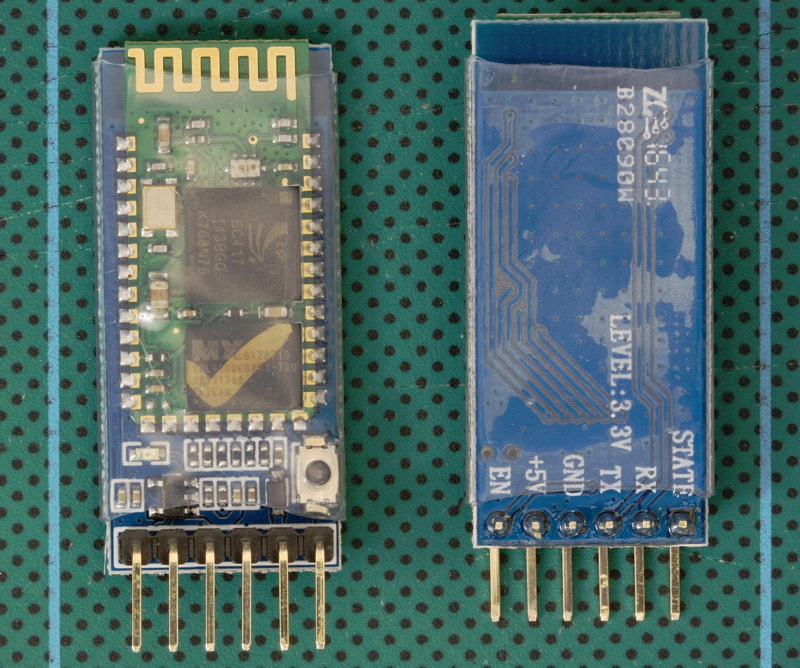 In AP mode, since the ESP8266 creates its own network, other local networks don’t matter. Here is my 5V ESP8266-01 programming breakout board. I am now programming the ESP8266’s via the Arduino IDE and I found using bread boards and wires was annoying, especially because I have a habit of VCC and GND mix up. 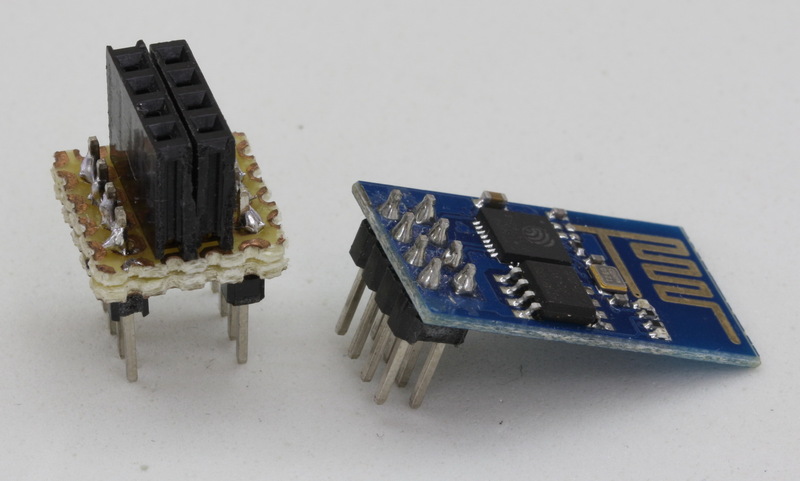 I have a small pile of dead ESP8266-01s, dead due to shorting them while moving wires around. They are next to the pile of Arduino Nanos I have killed for the same reason. 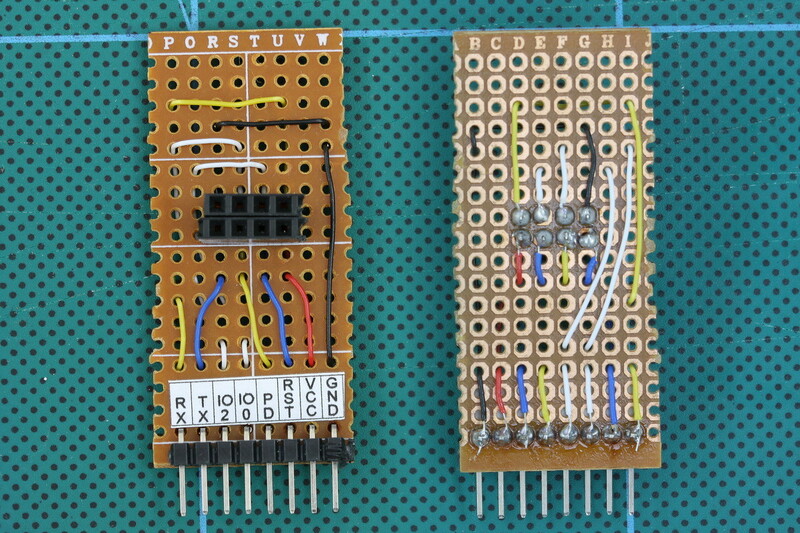 Since starting to use the ESP8266’s again I have made a couple of breadboard friendly breakout boards. Version 1 worked but moving wires was inconvenient (the ESP8266 was in the way). Version 2 was better but I still had to mess with power, resistors and lots of wires. This lead me to version 3. 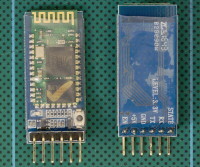 A fully self contained programming breakout board. There are many types of optocoupler and you chose one based on the requirements of your circuit. My intention was to create a automatic shutter trigger for my Canon camera, so the circuit was a 5V Arduino and a Canon 40D which has about 3.2V on the shutter release connections. Due to the relatively low voltages there are many suitable optocouplers to pick from. I already had a Fairchild 4N26 so this is the one I used. Optocouplers are digital switches. They work by using an LED emitter paired with a photo detector transistor. This means they can be used to allow one circuit to switch a separate circuit without having any electrical contact between the two. Basically, if you put a current through pins 1 and 2 and light the LED the photo detector transistor detects the light from the LED and allows a current to flow through pins 5 and 4. 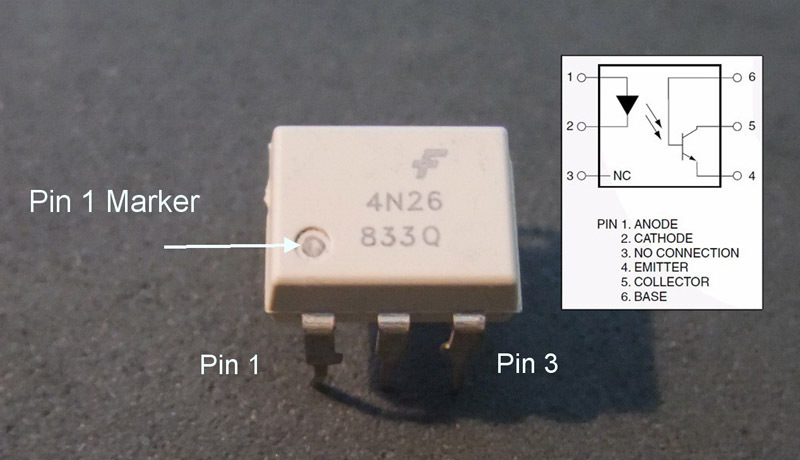 No current on pins 1 and 2 means current does not pass through pins 5 and 4. 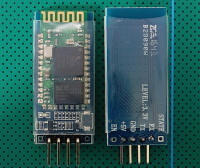 I have been playing with the ESP8266 modules again and had made a small adaptor to enable me to use the ESP8266 on a breadboard. It soon became apparent the adaptor was not the best design as it blocked access to some of the rear connections. This lead me to version 2. After a lengthy pause I have started playing with the ESP8266 modules again and I was getting annoyed by all the wires when using them on a bread board. So, like others before me, I built a small bread board adapter.